At the end of the first quarter this year the top 50 companies had a combined worth of $842 billion. In total these companies' added $258 billion in market capitalization over the past 12 months and a good fifth of those gains occurred in 2017. Another indication of how the rising tide of commodity prices lifted all boats is the fact that the cut-off today to make the ranking is $5 billion (number 51 Kumba Iron Ore has a market worth of $4.96 billion). A year ago it was less than $4 billion. Changing fortunes in subsectors saw the ranking change noticeably lower down the field. A year ago when gold was still enjoying one of its best starts in decades, gold miners were riding high, but well-known names like AngloGold Ashanti and Kinross no longer make the grade. That said, world number one gold company Barrick managed to improve its ranking. In contrast, coal and iron ore players bunched up near the bottom at the beginning of the second quarter 2016 when most steelmaking raw materials prices were hitting multi-year lows significantly improved their rankings. Australia's Fortescue has shot up 20 places while Canada's Teck managed to climb 26 spots. As with any ranking, criteria for inclusion is a contentious issue. We decided to exclude unlisted and state-owned enterprises at the outset due to a lack of information. That of course excludes giants like Chile's Codelco, Uzbekistan's Navoi Mining which owns the world's largest gold mine, Eurochem, a major potash firm, trader Trafigura, top uranium producer Kazatomprom and numerous entities in China and developing countries around the world. Another central criterion was the depth of involvement in the industry before an enterprise can rightfully be called a mining company. For instance, should smelter companies or commodity traders that own minority stakes in mining assets be included, especially if these investments have no operational component or not even warrant a seat on the board? This is a common structure in Asia and excluding these types of companies removed well-known names like Japan's Marubeni and Mitsui, Korea Zinc and Chile's Copec. Levels of operational involvement and size of shareholding was another central consideration. 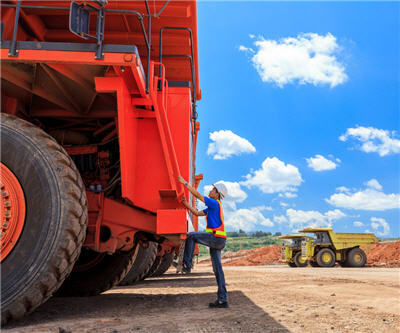 Do streaming and royalty companies that receive metals from mining operations without shareholding qualify or is are they just specialized financing vehicles? We included Franco Nevada and Silver Wheaton. What about diversified companies such as BHP Billiton or Teck with substantial oil and gas assets? Or oil sands companies that use conventional mining methods to extract bitumen for that matter? Or vertically integrated concerns like Alcoa and number three on the list Shenhua Energy which is a power and shipping company more than a coal miner. Chemical companies are also problematic – should FMC Corp not be ranked because its potash and lithium operations are such a small part of its overall revenues and what about Albermarle? While the merger of Potash Corp and Agrium is still to close we included only Potash Corp on this listing. Many steelmakers own and often operate iron ore and other metal mines, but in the interest of balance and diversity we excluded the steel industry, and with that many companies that have substantial mining assets including giants like ArcelorMittal, Magnitogorsk, Ternium, Baosteel and many others. Let us know of any omissions, deletions or additions to the ranking or suggest a different methodology.